(17/P69) TRENTON – The state’s overhauled contaminated-site cleanup program has marked a milestone – 10,000 Response Action Outcomes issued by Licensed Site Remediation Professionals. A Response Action Outcome (RAO) is a certification that site contamination has been addressed in accordance with state law and Department of Environmental Protection regulations and standards. “Reaching this milestone clearly demonstrates that the Licensed Site Remediation Professional Program is making real progress in addressing contamination at sites across New Jersey,” DEP Commissioner Bob Martin said. 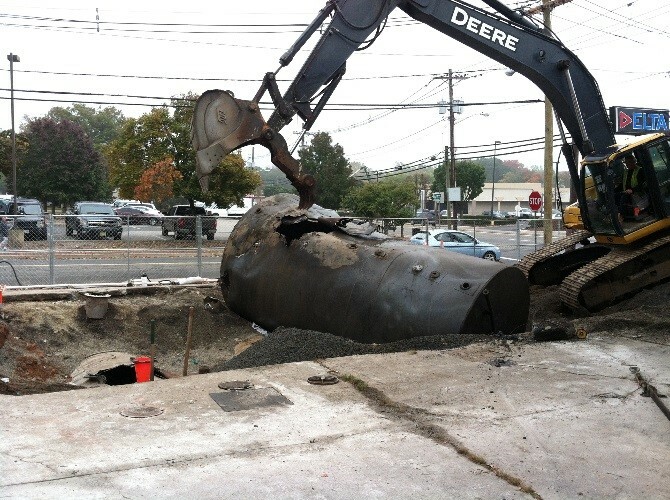 The Site Remediation Reform Act, enacted in 2009 and fully phased-in three years later, overhauled the site remediation process in New Jersey. It authorized the creation of a special board to establish licensing requirements for environmental professionals, known as Licensed Site Remediation Professionals, to implement on-the-ground investigations and remediation work. The law further established an affirmative obligation on the part of responsible parties to remediate contamination and set clear time frames for their LSRPs to complete site assessments, investigations and remediation work. DEP data support that cases being handled through the LSRP process are undergoing remediation much more quickly than before the provisions of the Site Remediation Reform Act took effect. To date, the DEP has received more than 40,000 key documents from LSRPs. The DEP inspects all documents and conducts thorough reviews of certain documents when necessary. To date, only 321 Response Action Outcomes have been withdrawn by LSRPs due to technical reasons. The DEP has invalidated only 11 Response Action Outcomes. Notably, since the LSRP program was launched, the rate of complex cases closed out has doubled. Currently, 30 percent of cases being closed are considered complex cases with multiple phases of remediation completed. Response Action Outcomes replace No Further Action determinations that the DEP previously issued at the completion of remediation. To be able to issue an RAO, an LSRP must certify that discharges of hazardous substances or wastes have been remediated, that contamination no longer presents offsite threats, and that the actions undertaken at each site are protective of public health and the environment. Sites supervised by LSRPs can range from the very small, such as dry-cleaning operations that discharged dry-cleaning chemicals or a gas station that had a leak from underground storage tanks, to sprawling former industrial areas and large waste-disposal sites. In addition to establishing clear goals for cleanups, the program has created more efficiencies by eliminating back-and-forth reviews of reports and studies between environmental consultants for responsible parties and the DEP, which slowed down the implementation of actual remediation work. The DEP has been closely tracking a variety of metrics to ensure the LSRP program is achieving the goals envisioned by the Site Remediation Reform Act. Prior to the LSRP program, the state had as many as 20,000 cases active at any given time. Currently 14,075 cases are active. Of these, 9,045 are under the direction of an LSRP. About 2,100 LSRP-eligible cases have no LSRPs. The DEP is actively taking steps to identify responsible parties for these cases or is taking actions to ensure identified responsible parties hire LSRPs. The DEP has assessed these sites to ensure they are not posing any immediate environmental or health concerns. The remaining balance of active cases are primarily residential underground heating oil tank cases, which must address cleanups through a separate process; cleanups overseen directly by the state or federal government; cases for which no contamination source has been directly identified; and cases that have been closed but are awaiting monitoring permits.